Keep your utensils as close as your pocket with the compact Coleman 3 Piece Stainless Steel Nesting Utensil Set. 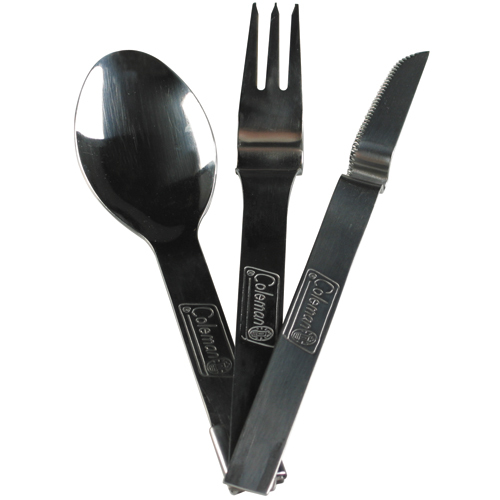 Use the lightweight fork, spoon and knife just like you would at home. When you're done, the dishwasher-safe fork and knife easily slide quickly into the cradle on the spoon handle and fit inside a protective pouch for hands-free carrying. It's perfect for camping, hiking and backpacking. - Dimensions: 6.4" x 1.6" x 0.6"